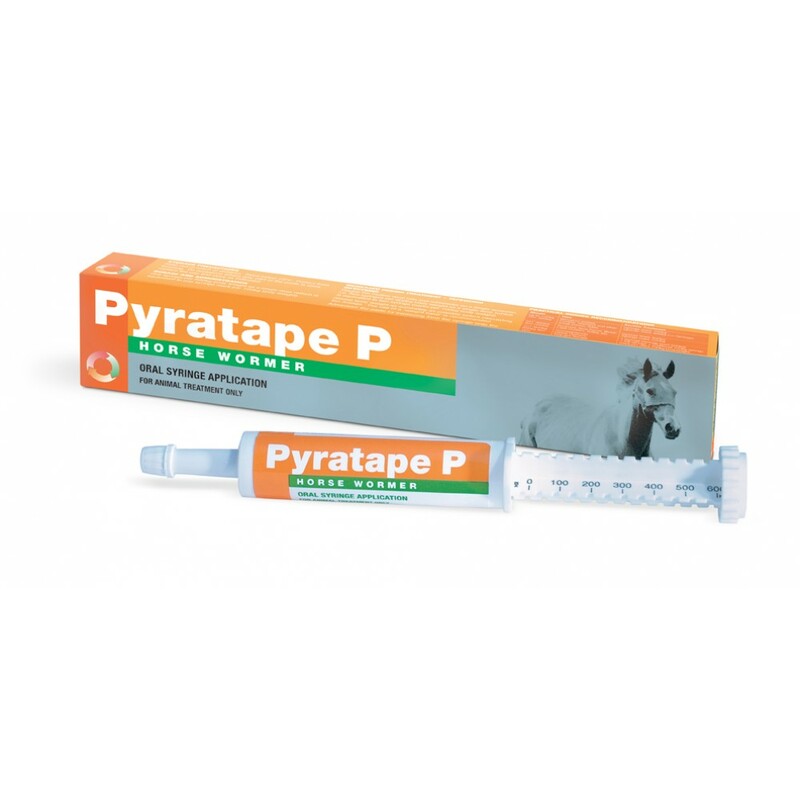 Pyratape P wormer is a paste that contains Pyrantel. One syringe contains enough paste to treat a 600kg horse. At double the dose, it is effective against tapeworm. Pyratape P is effective against small strongyles (although not larvae encysted in the gut wall); large stronglyes; ascarids (roundworm) & pinworms; at double the recommended dose, it is also effective against tapeworm. Resistance can occur with over use of wormers, especially repeated use of the same class of anthelmintic. Faecal egg counts & EquiSal Tapeworm Saliva tests are an important part of an effective worming programme. Please call our helpline or talk to your vet, if you wish to discuss your horse's worming programme.